The beautiful Anna Bangle is a solid 925 sterling silver bangle that has been handmade in the UK by one of our silversmiths. This lovely chunky bangle has a rectangular cross section which gives it clean, sharp edges, creating a very stylish bangle. 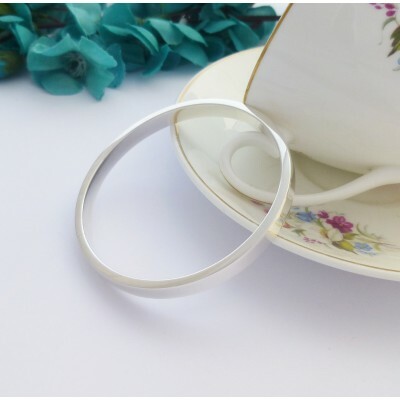 If you are looking for a quality sterling silver bangle that has a lovely weighty feel to it, then the Anna has all of these qualities. 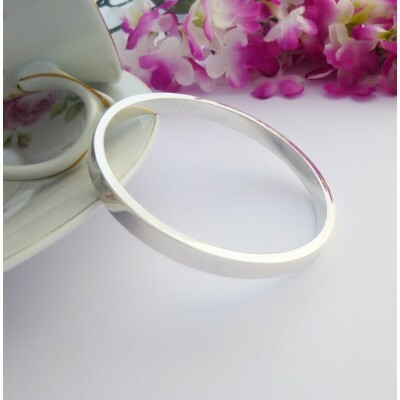 This bangle is perfect for wearing with any outfit and is a real keepsake piece of jewellery. 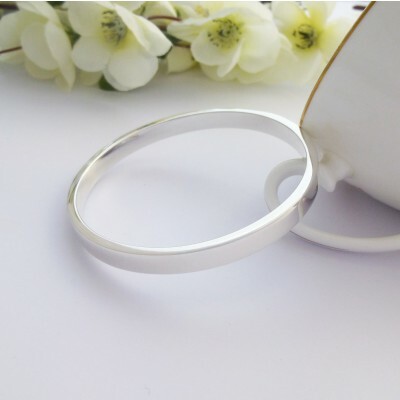 The Anna Solid Silver Bangle would make a great gift for an important birthday, Christmas or even a Valentine's present! The very stylish Anna Silver Bangle has been hallmarked in the UK and measures 6mm x 3mm with an internal diameter of 63mm. Subject to availability, the gorgeous Anna is available in small wrist, regular wrist and large wrist sizes. The Anna is a hand made solid 925 sterling silver with a UK hallmark. The rectangular cross section measures 6x3mm wide. 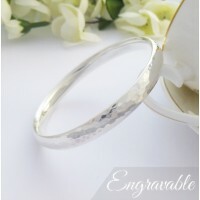 The internal diameter is 63mm and the weight of this bangle is 42g.